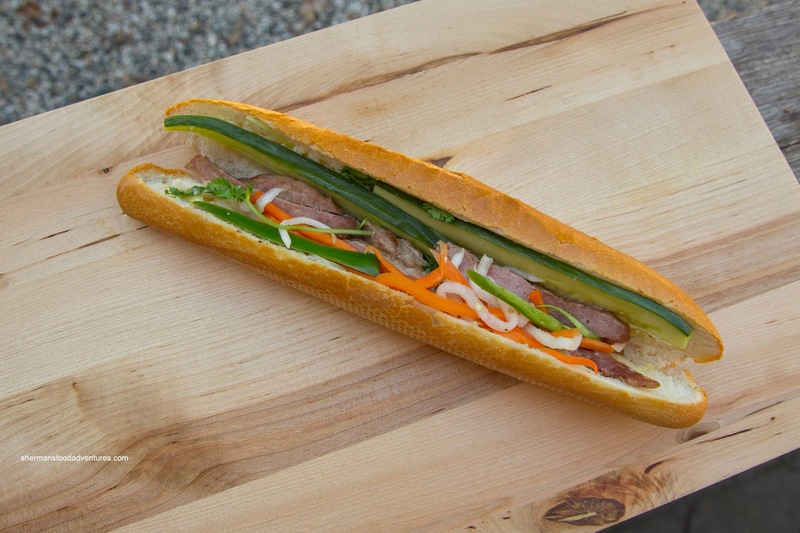 Despite the love of Banh Mi in Vancouver, it is surprising to see very little in the way of new contenders in town. We have the usual in Ba Le, Tung Hing and Kim Chau, but nothing exciting in the last couple of years. Of course, this leads into the newest place in town - Banh Mi Saigon. 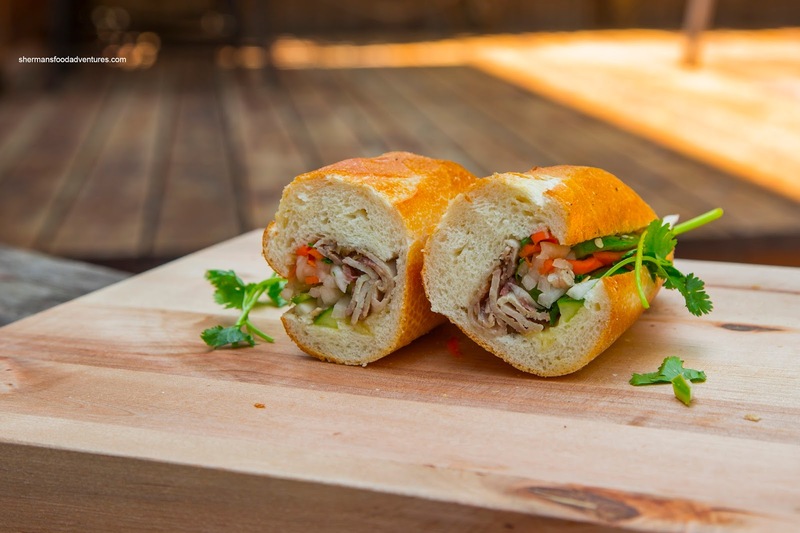 Dedicated to serving up sandwiches with freshly baked in-house bread, the place has been super busy since opening. 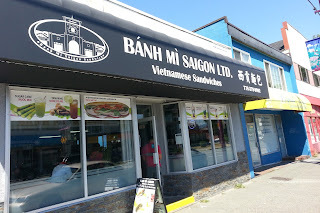 I decided to finally check it out on hot summer day (the place is smoking hot due to the oven) to grab some Banh Mi. In addition, they serve up iced coffee and che. 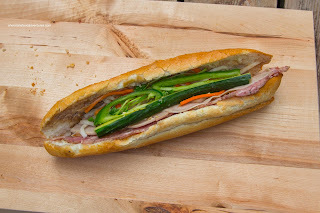 I decided to go for the Special Dac Biet consisting of ham, headcheese, meat ball, meat loaf, pate, mayo, soy sauce, pickled daikon & carrot, cucumber, cilantro and jalapeno pepper. This one ate much like it sounded with plenty of ingredients. 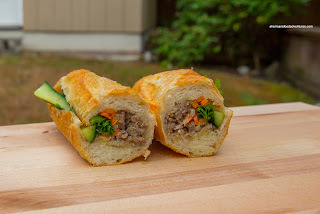 I found that the amount of pate combined with the meatball and meatloaf added enough moisture and meaty gaminess. Hence the sandwich was flavourful and fulfilling. The Cold Cut was very similar to the special except for the meatball. Hence, it ate pretty much the same with a little less soft meatiness. Again, the smear of pate was quite noticeable as well as the fish sauce. I returned 2 more times to sample as many banh mi as I could take. Continuing on the theme of the first 2 subs, I tried the Meatball. As expected, it was like the special dac biet, but without the cold cuts. Hence, it was still meaty, but in a softer manner. The meatball rode the fine line between being soft and meaty. It was mildly seasoned where the onions didn't overwhelm. Lacking a bit of impact was the VN Bacon banh mi. Unlike the other subs so far, this one didn't seem all that fulfilling. I guess the fattiness of the bacon didn't register as "meaty" and the light texture of the Vietnamese ham couldn't make up for it. Moreover, flavours were pretty mild where an extra splash of fish sauce would've helped. 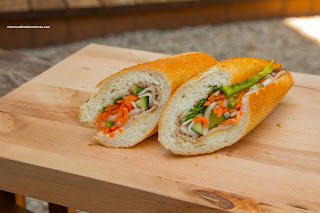 The same could've been said about the Lemongrass Pork where I could clearly see the meat, but the sub didn't eat like the first 3. To be fair, the special cost $4.50 while most of the other subs are less. The biggest issue was the lack of flavour, in particular, the lemongrass. Somehow, the partially dry pork was lost in the sandwich. On the other hand, the Marinated Pork (at $4.50 as well) was impactful both in terms of filling and taste. There was more than enough sliced sweet pork patty for each bite. On my first visit, I ended up waiting 30 minutes for the sandwiches because they were baking bread and waiting for them to cool down. Hence, it was crusty and obviously very fresh. I personally would've loved to see it a bit less dense, but that didn't make or break the sandwich. In total, I've visited the place 5 times in 2 weeks and everything has been consistent. 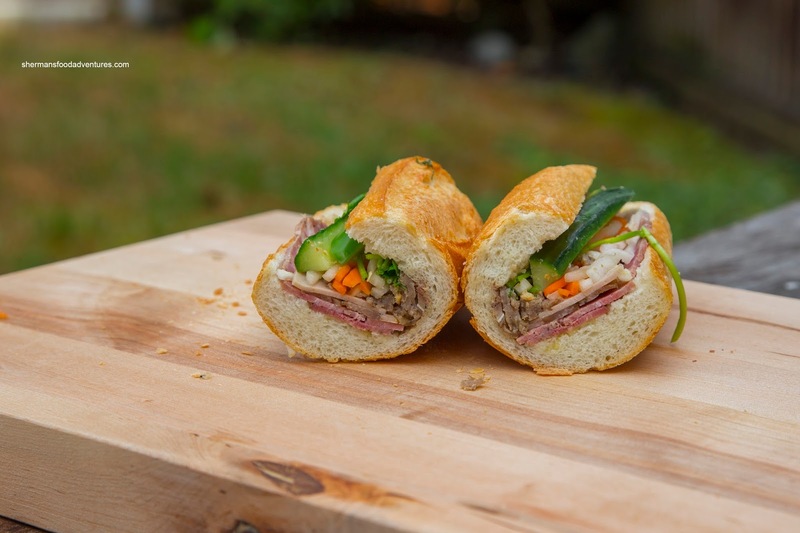 Ultimately, Banh Mi Saigon has the right combination of fresh bread and ample ingredients representing a good value with all things considered. Not sure if they're still doing it, but they have occasionally had pate chaud (meat pies) on their specials board. Very tasty, with a nice light and flaky crust - well worth trying. Pate Chaud is generally available in the morning depending on timing. When it's hot, it's great, but once at room temperature, it's just meh. @Steve .... they have pate chaud every day. 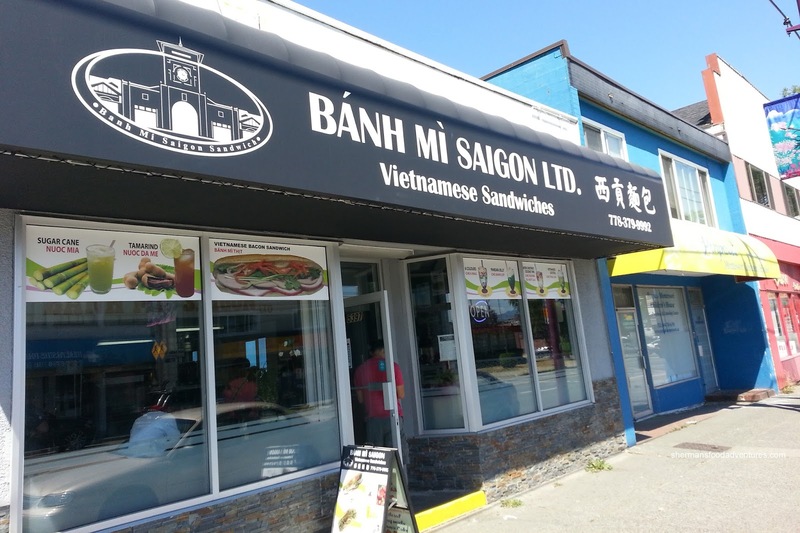 Another source is Tung Hing Bakery on Kingsway, where their banh mi's are also in the Top 3, IMHO. ^ Actually the new place (TK Subs Cafe) have more tortas than banh mi :-) I had a pretty decent machaca yesterday.